Microwaveable snacks come into their own when it comes to meeting shopper demand for easy-to-prepare hot food that can be enjoyed as part of a Big Night In. 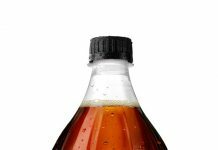 So says John Armstrong, Marketing Director of Kepak Convenience Foods, manufacturer of Rustlers, the UK’s best-selling micro snack, and the driving force behind the fast-growing hot, quick & tasty category. “The days when people opted for a couple of packets of crisps and a few beers during a Big Night In are long since gone,” says Armstrong. 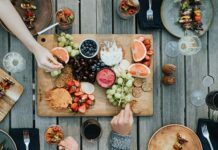 Micro-snacking products can help to develop Big Night In sales across numerous categories and to increase basket spend. Kepak is targeting its recently launched Super 6 range at the Big Night In occasion. 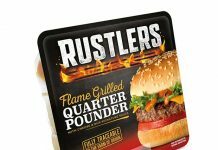 The Rustlers Super 6 range, which accounts for more than 40% of all sales within the micro-snacking market of 60 SKUS – features six top-selling Rustlers SKUs, all price-marked at £1.99. “Retailers can use Rustlers Super 6 to develop Big Night In sales, sharing in what we we estimate will be an additional £5 million worth of micro-snacking sales in 2015,” adds Armstrong. The Rustlers Super 6 range includes the £25 million Rustlers Quarter Pounder, already bought by 2 million households. It also includes the BBQ Rib, the UK’s second best-selling micro-snack and Chicken Sandwich, a healthier option popular with women. Completing the line-up are Rustlers Hot Subs Fried Chicken, which has brought the mass market Subway format into micro-snacking, the Deluxe (Bacon Cheeseburger) and recently-launched Rustlers Tikka Chicken Hot Naan, meeting the UK’s growing love of Indian food.